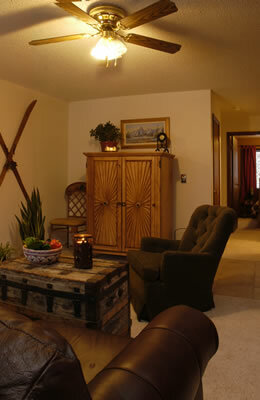 Ski Town Condos vacation rentals are a great choice for families or couples looking for Monarch, Colorado lodging. 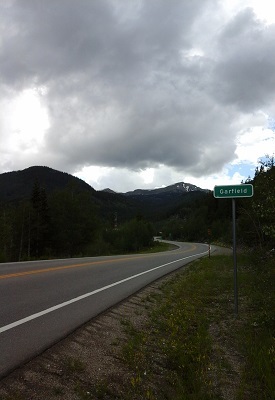 Located in Garfield, Colorado and only three miles from the Monarch Mountain Ski Resort area, this quaint mountain retreat features spectacular views of the encircling Rocky Mountains of the San Isabel National Forest, and is only steps away from the South Fork Arkansas River. Whether you’re looking for Colorado vacation outdoor adventure packages, a quiet romantic getaway, or a place where you can relax and have fun with the family, this Colorado lodge is perfectly suited to your needs. Enjoy more for your money at Ski Town Condos, an inviting alternative to hotel lodging at Monarch Mountain Lodge and Salida hotels. 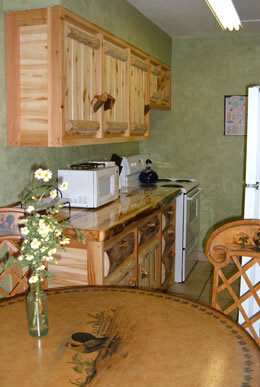 Ski Town Condos lodge is a non-smoking property, non-pet, four-plex, renting three units total. Each charming condo sleeps six with 2 bedrooms/1 bath plus a built-in bunk bed in the hallway. Rent all 3 units for a total of 6 bedrooms/3 baths, sleeping up to a maximum of 18. Amenities include a fully equipped kitchen (including microwave), television with DVD player, wireless internet, washer and dryer, log beds, down comforters, and an outdoor hot tub in the gazebo. This historic mining town is located 18 miles west of Salida; 47 miles east of Gunnison; 6 miles to the Monarch Crest Trail (rated one of the top ten mountain bike trails in the Nation! ); hike along the Continental Divide Trail and the Colorado Trail from Ski Town Condos to beautiful lakes - these trails have been described as the best trails anywhere, the most scenic, and among the best maintained! Monarch Mountain ski resort area, only 3 miles, is the best kept secret with snow made only by mother nature and down home hospitality! One night allowed for last minute reservations if arrival is within 3 days from today! 4-Night Colorado Summer Package @ $358 per person, quad occupancy! May 25 - Aug 19, 2019. Package for four guests includes 4 nights lodging at Ski Town Condos, half day Browns Canyon Raft Trip, 1.5-hour Horseback Ride, 2.5 hour Leadville Colorado & Southern Railroad train ride, and a Tram Ride to the top of the Continental Divide! Plus $50 cleaning fee. 3-Night Short & Sweet Getaway @ $273 per person, quad occupancy! May 25 - Aug 19, 2019. Getaway includes the following for 4 guests: 3 nights lodging at Ski Town Condos, half day Browns Canyon Raft trip, 1.5-hour Horseback Ride, and a Tram Ride to the top of the Continental Divide! Plus $50 cleaning fee. 2-Night Colorado Raft & Stay Packages @ $163 per person, quad occupancy! Plus $50 cleaning fee. 4-Night Colorado Fall Package @ $277 per person, quad occupancy! Aug 19 - Oct 1, 2019. 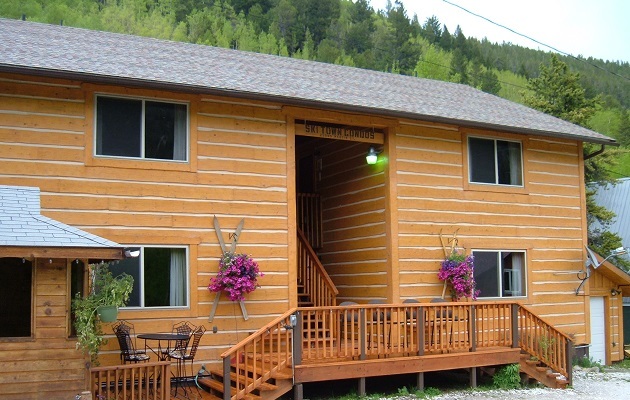 Includes 4 nights lodging at Ski Town Condos, 1.5 hour Horseback Ride, 2.5 hour Leadville Colorado & Southern Railroad train ride, & natural hot springs passes! Plus $50 cleaning fee. Two night minimum year round; 4 night minimum during holidays & spring break; 1 night available if arrival is within 3 days of today. Rates are based on 4 occupants per unit. Additional occupancy is $15 per person up to a maximum of six per unit, including children. Subject to 7.55% sales/lodging taxes and a per stay $50 cleaning fee.